IT'S JUST WHAT WE DO. 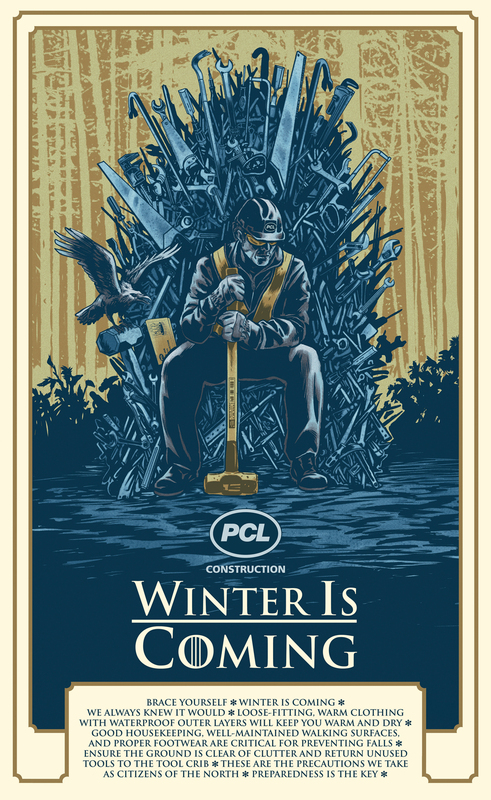 Number 1 in a poster series created in collaboration with PCL to promote the safety in the workplace. 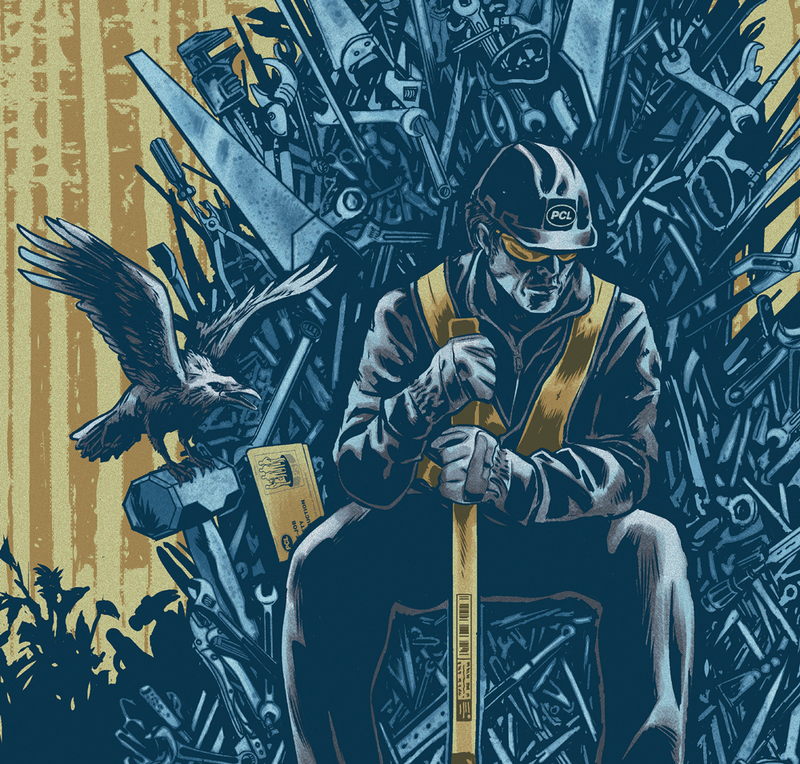 In this case, a spin on the popular Game of Thrones schtick that winter is just around the corner and you'd better get ready for the extra safety challenges. This piece won an Applied Arts award in Poster Illustration - Single. There is a write up on the PCL website about the poster series.